We won't be beaten on our custom keyrings, quality or turnaround time. 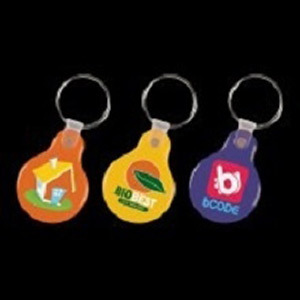 Dynamic Gift New Zealand have a wide range of promotional custom keyrings. This is one product that is tried and tested as a promotional gift that lasts for years on peoples keys. You can hang key tags from backpacks, zippers, car keys, phones and even other promotional items! Try us today for your very own customised key tags, Don't forget we have a price beat guarantee and our graphic design team are on standby to design your keyrings 100% free of charge! Browse keyrings below. 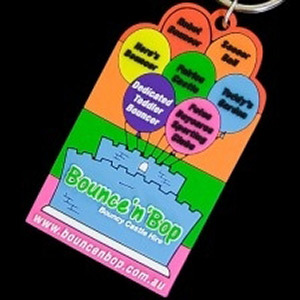 Why choose custom branded keyrings? To buy any of our branded promotional keyrings, printed with your company name and logo, simply call us on the number provided or complete a quotation request form at your convenience. We will be delighted to provide art proofs free of charge and can deliver to all areas of New Zealand. We have a fantastic selection to suit all tastes, including novelty shapes in bright colours as well as more conservative designs. Everybody uses keys, which is why these products are such a good choice for organisations that would like to gain the maximum exposure possible when spending money on marketing merchandise. In supermarkets, restaurants, bars, business meetings and exhibitions all over the world, people can be seen with bunches of keys that they use every day. An eye-catching ring or tag could be noticed by thousands of consumers and business executives in these different venues, helping to raise brand awareness and promote your company to its target audience. In addition to helping people carry their keys safely wherever they go, some of the products we sell have added functionality that make them even more useful. You could choose one with a retractable cutting blade that recipients can use when they are out and about or a model that features a powerful torch, which your customers can use to illuminate the keyhole on their front door when they return to their home at night. The more useful a marketing gift is, the more likely it will be that people will be pleased to receive it and, more importantly, carry it with them every time they go out. Resin coated finishes ensure that your company logo will still look great months or even years after being presented to your clients and will not have been worn away by constant use. We know that our customers are looking for merchandise that offers exceptional value for money in terms of exposure and we only stock products that we feel will meet or exceed your requirements in this respect. If you are looking for an inexpensive product that will still make your clients feel that you truly value their custom, metal keyrings that come in an attractive gift box are ideal. Printed with your corporate logo or marketing message on one side, they are every bit as effective as the other products in this section but with a high quality look and feel. Many companies have found our personalised promotional key chains to be an excellent choice of marketing giveaway, owing to our cheap prices and the fact that they are appreciated by business clients from all walks of life. Everybody uses keys on a daily basis, so your corporate gifts will always be visible. There is little point in spending a great deal of money on marketing giveaways that are seldom used when you could invest in low cost merchandise that people will use every day of their lives.